It is often said that purchasing a home is the biggest purchase you will ever make. Likewise, a business property purchase is the biggest purchase you'll make for your business. Purchasing the right property has huge implications for the success of your business. For instance, a new property may give your business greater exposure or allow it to operate with a greater level of efficiency. Finding the right business loan provider and then determining which loan is right for your business are both crucial decisions. The approval criteria for business real estate loans are much more stringent than for consumer mortgages. The process is often a daunting experience for the business owner, but the end result is well worth the red tape. 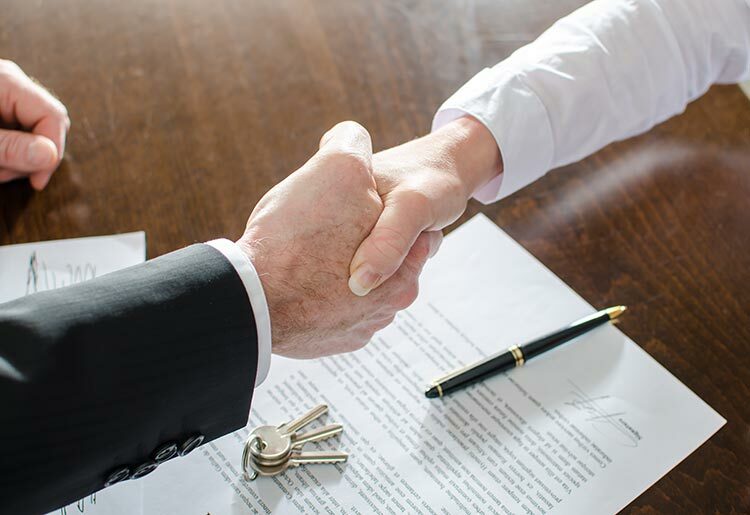 If you’re a small business owner operating a for-profit company in the United States and you’re looking to purchase property, the CDC/504 loan is worth checking out. There are a few criteria that must be met in order to qualify for this loan program. Your business must not have a net worth exceeding $15 million, and it must have an average net income not exceeding $5 million for the past two years. Your personal finances are also factored into the loan approval process. Since this is a partially subsidized government loan program, you could be declined for the loan if you have too much cash on hand. You may also be denied based on derogatory credit or issues concerning the cash flow of your business. The maximum loan amount obtained through the CDC/504 program is $5.5 million. However, this loan amount is dependent on numerous criteria. Maturity terms are available in 10- and 20-year terms. Interest rates are set at an incremental value exceeding the current 5-year or 10-year U.S. Treasury issuance rate. The loan fee is set at 3% of the financed amount. You certainly have an array of options available to you when you work with a commercial banker at your local bank or with an online lender. Banks and online lenders offer commercial real estate loans for varying amounts. Usually, banks will loan up to 80% of the property’s value. As with all loans, your approval is dependent upon your creditworthiness and key financials concerning the business. These financials include the company’s time in operation, ownership makeup, type of business, and cash flow. A fully amortized business real estate loan allows you to make payments of interest and principal according to an amortization schedule. These loans allow for a longer term, typically 10-20 years. A balloon payment allows you to make regular payments each month and then one large payment at the end of the loan term that will cover the remaining principal. This loan has a shorter term. A balloon payment loan typically has a term of just 5-10 years. A commercial real estate line of credit is not used to purchase property; instead, this loan is used to borrow against the equity in property you already own. These loans are much easier to obtain because you are simply borrowing against your own property. Therefore, the property is the collateral. Also, your financial position that allowed you to qualify for the initial loan is pretty much a de facto approval for the credit line. There is a personal credit check in order to secure the credit line, but it’s nothing as in-depth as the initial mortgage process. Various uses for credit lines include rehabilitating a property, purchasing additional properties, or paying down other debt. Click here to learn more about whether a loan or credit line is right for your business.